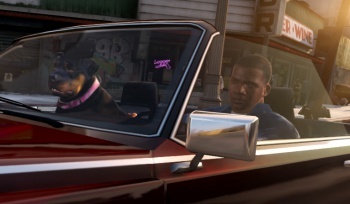 Amazon lists GTA V for Windows in France and U.K. Developer Rockstar Games is remaining tight-lipped on any potential plans for a PC version of the upcoming Grand Theft Auto V, but that hasn't stopped Amazon from listing the game for pre-order. The online retailer has listed a PC version of the title in both France and the U.K., offering hope that the game will indeed appear on the Windows platform. Up to this point, Rockstar hasn't completely ruled out a PC version of GTA V, though all media and teasers have focused solely on the PS3 and Xbox 360 versions. Fans have been furiously signing their names to an online petition to bring the game to PC, which already boasts over 144,000 signatures. If, for some reason, a PC version of GTA V were to fail to make it to market, it would be a first for the series. The Amazon listings aren't exactly a confirmation that the game is indeed in the works for PC, and while Amazon France is allowing customers to pre-order the title, the U.K. listing is essentially just a generic placeholder. If you had hoped to play the game with a mouse and keyboard, it's a good sign, but we wouldn't recommend throwing your hands into the air and rejoicing just yet.